Destination: Tenerife, Canary Islands. May 2017. I decided to escape for a while from the lovely London weather ( generally we all know how it is in London ), so I packed my stuff and I flighted to this amazing, beautiful canary island: Tenerife! Most people think going to a nice hotel, having some cocktails and enjoying the sunset is the proper way to feel the island’s spirit. While this is actually relaxing, I think going by yourself on a road trip up through the island is far better. Free to go wherever I wanted and stop anytime I desired, I had an amazing experience not only visiting places where nature is the keyword, but also having the opportunity to meet some island’s habitants who told me a lot about the history, the climate, the gastronomy and beautiful places to discover. Let’s check it out together!!! 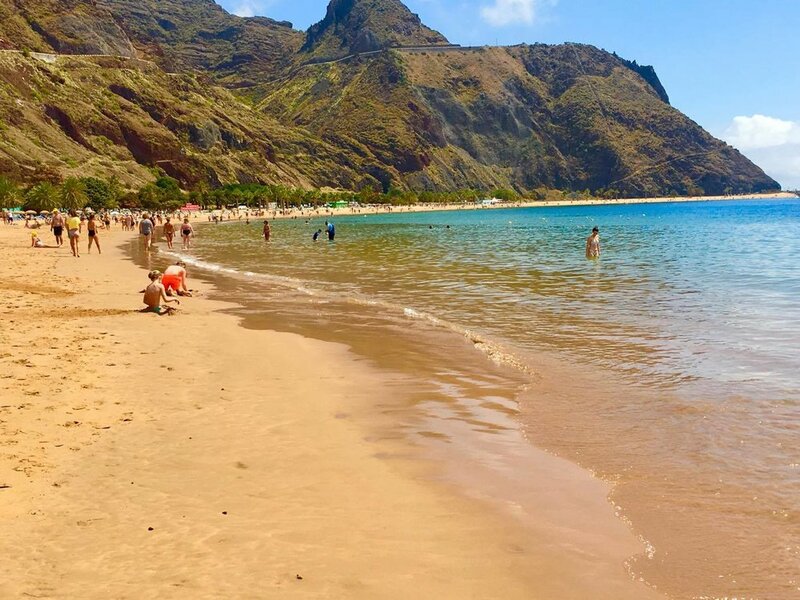 For those of you who want to see and discover the highlights of Tenerife, you can either rent a car ( https://www.travelsupermarket.com/en-gb/car-hire/spain/canary-islands/tenerife/ ) or to visit by bus ( http://www.titsa.com/index.php/en/ it’s the main public transport that travels all over the island). From the south to the north you’re gonna enjoy the trip since you have two different kinds of views and colours to look at. On one side the rugged and steep coast surrounded by the Atlantic Ocean and its deep blue; on the other one instead, the Spain’s highest mountain, mount Teide, a slumbering giant volcano (Earth’s third highest volcano) followed by mountains and volcanic valleys. One of these valleys is Guìmar, one of the Tenerife’s oldest towns and one of the first areas to be settled by the Spanish. Next to me on the bus, there was this old man (born in the island ) that, noticing my curiosity, started to tell me some stories. He told me about Guìmar, famous for its Guanche pyramids built from lava stone without any human’s help. There were 9 of them, but unfortunately only 6 survived. He told me about its plantation of sugar, potatoes and avocados and, above all, he told me that in the early morning he’s used to go to the port of Guimar for fishing and to wish himself good luck ( but forget about saying to a fisherman have a good day ), he performs a short fish dance! I’m still hoping one day I’m gonna see him doing it. Puerto de la Cruz’s always been popular between tourists and it’s one of the top destination of the Canary Islands, but now I understand why. It’s an oasi of green land and tropical fruits plantation ( in fact, nothing’s better than drinking a fresh natural pineapple juice, while you’re enjoying the tropical weather ). I’ve found this town very characteristic with its narrow streets and traditional cafès and tapas bars. If you’re a tired traveller looking for some tranquility and culture, that’s a very nice place to visit. There’s the Lago Martianez (designed by architect and artist César Manrique), which is a water park with lots of swimming pools and a salt water lake where even the stones in the floor got their own geological history. Everything’s surrounded by a sub-tropical garden!!! It looks like a paradise and it actually is! Puerto de la Cruz is also famous for the beautiful Jardin Botànico and Playa Jardìn, a beach full of palm trees and volcanic black sand. I figured it out that its name symbolises the rich environment of flowers and plant life and It’s a great place to take some amazing pictures! Another reason that makes Puerto de la Cruz a top destination is Loro Parque, an animal adventure park with lots of sea animals, but above all it houses the largest parrot collection in the whole world. And that was just the first day! First in Europe, second in the world, Loro Parque is an amazing animal themepark located in Puerto de la Cruz. 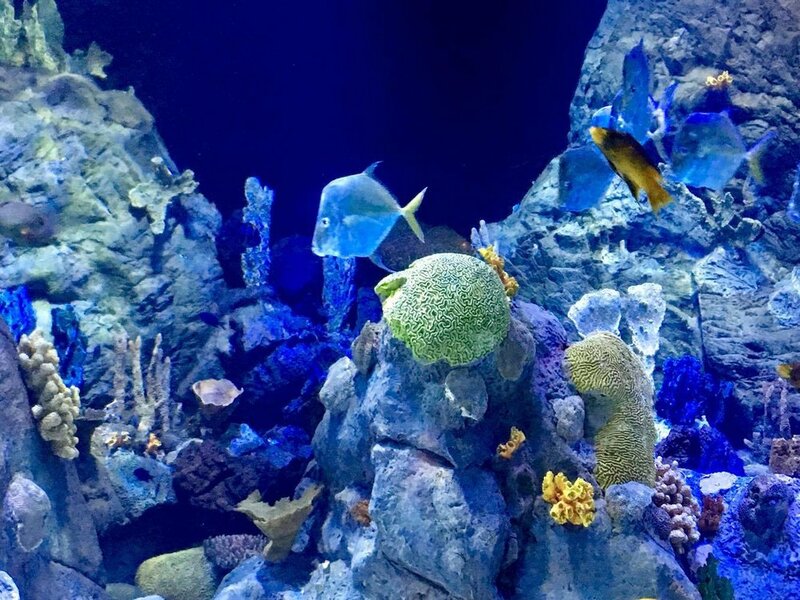 Mainly famous for its parrots collection, it also houses dolphins, California sea lions, orcas, giant Galapagos tortoises, iguanas, jaguars, penguins and many more! 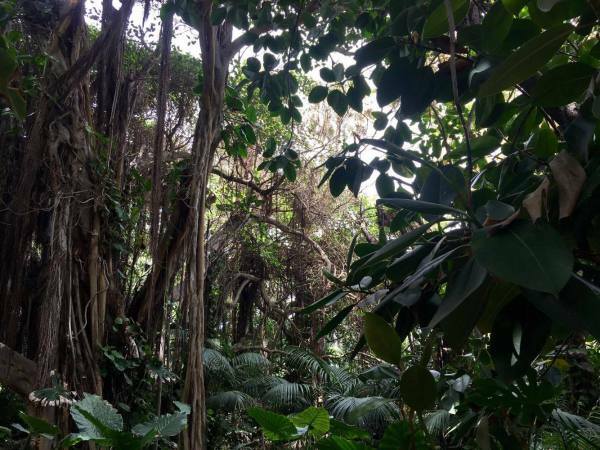 You can easily get there thanks to the special Loro Parque Bus or the Shuttle Express, but anyway I recommend you this Tenerife Travel Guide before arriving there. Don’t know you guys, but I always wanna know how to take the best from every place without missing anything! From the moment your visit begins, its gonna be like stepping into another world when go through the Thai themed entrance, where you can explore Katandra Treetops, the Thai Village and a magical kingdom. First animals I saw were parrots in their amazing variety of colours. What I truly liked was the atmosphere. When I was a little girl, I’ve been few times at the zoo. I so didn’t like it! I mean, there was always something nice but, most of the time, I was feeling sad for those animals… all of them quite, some of them were sleeping or doing just few movements ( by the way, they didn’t have so much space to move ) and there was always this loud music coming from somewhere. I wasn’t ready for this at all. Now I see why it’s the best zoological garden in Europe! It’s an animal reserve, full of green and lakes. It’s so nice just having a walk there and feeling peaceful, ’cause the only sound you hear it’s the one of birds and nature! If you just wanna have fun instead or you have kids well, this park has a big variety of shows. You can choose between 7 amazing shows or, as I did ( lol), join them all! But the best discover ever has been Animal Embassy, which is a firm commitment to ecology and preservation of the planet! This area is dedicated to educate the visitors about the importance of the respect for the environment and the animals that inhabit the earth. One of the buildings of Animal Embassy houses a research center where the cognitive development of the birds will be studied. Another great building is the Baby Clinic, where the vets are taking care of the newborns! I had the pleasure to meet a wonderful human being there! Thanks to him, I got more knowledge about Tenerife itself, like best places to visit or typical things to do, plus he told me his story! Don’t know about you, but I love listening to people’stories ( yes, I’m the kind of person that looks at a girl who’s reading in the underground and I imagine what her life could be ). From Argentina he moved to Santa Cruz de Tenerife more than 20 years ago and he never left, except for travelling from time to time! While he was showing me Santa Cruz area, I realized the weather was changing. You know, I also chose Tenerife ‘cause I was tired of the cloudy and rainy London weather but, obviously, after two days in the north of the island, a storm decided to show up! Mauro, this guy, suggested me to go to the south, where it’s sunny 364 days per year since the atmospheric conditions are affected by Africa. I felt the difference in a second. The climate there is completely different from the north, I couldn’t stop singing Waka Waka by Shakira! Different weather, different flora, different kind of people! Easy to realize how many young people there were around! From Los Cristianos to Costa Adeje, the population is mainly young while the other side of the island is definitely a more relaxed area! I met a group of australian friends in Playa de las Vistas! They were travelling on the road as well and Tenerife was the last milestone before coming back home! This is another good reason why I don’t mind to travel alone; whoever you meet is a new friend! We were chatting about our adventures, when a huge wave ( this is why surfing is so popular there ) flooded us! Everything was wet and full of sand, thank God my lovely Travel Pack is waterproof and I didn’t lose anything! I visited so many beautiful places and met plenty of kind and friendly people, that I’m gonna go back to Tenerife as soon as possible! The worst part of a journey is the end, but I’m used to think positive… where there is an ending, there’s a beginning! Time to plan next trip on the road! Any suggestions? I’d love to hear as many places as possible from all of you!